Have fun with Delphina! 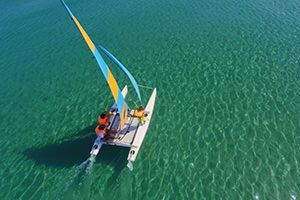 Choose from a wide range of sports activities during your holidays in Sardinia. Sport, discovering the area and lots of fun are the perfect Delphina mix for you to enjoy an energetic holiday in the open air. 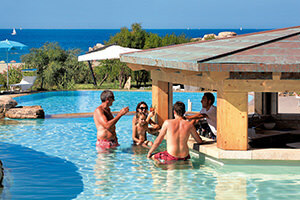 Are you ready to spend activity-filled holidays in Sardinia enjoying all the beauty that the island has to offer? Play and train with all the sports activities on offer at the Delphina hotels and resorts and make your holiday an extra special experience… with a little pinch of happiness and adrenaline. A great game for staying in shape and having fun! Put together a team with your travelling companions or new friends made on holiday and take part in the tournaments organized by our entertainment staff – and may the best team win! 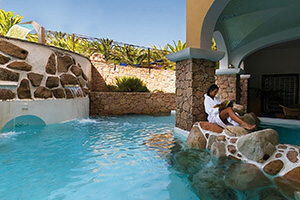 There’s no way we could leave this out of the sports activities on offer at the Delphina hotels and resorts. A firm favourite with young guests, even adults will find themselves getting involved with the thrilling tournaments that will give extra excitement to your holidays in Sardinia. Ready to play some serious matches even though you’re on holiday? Get ready to take part in some healthy competition with the racket between one swim and another together with new friends while if you’re a beginner, our expert teaching staff will coach you as you discover this sport. 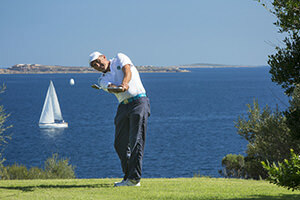 Unleash all your skills on the greens in Northern Sardinia! The 9 hole Pitch & Putt course facing the sea at the Hotel Capo d’Orso near Palau and the 3 hole Par 3 practice course at the Resort Valle dell’Erica are perfect for taking one or two lessons or just a bit of exercise. Together with our qualified instructors, a holiday at one of the Delphina hotels and resorts could be just the right moment to have a go at this sport. 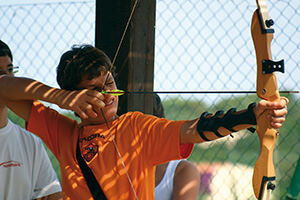 Suitable for both children and adults, archery stimulates concentration, strength and coordination. Don’t lose the great shape you’ve worked hard all winter to achieve – come and train when you’re on holiday as well! Gyms with Technogym equipment, yoga and fitness activities led by qualified instructors are all available for your daily workout. Snorkelling, SUP, kayaking, sailing with catamarans, surfing, kitesurf and windsurfing are some of the best activities for enjoying the North Sardinia sea to the maximum. 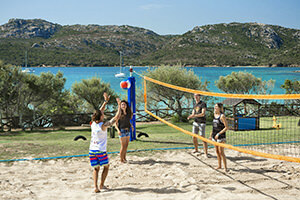 Fantastic adventures are waiting for you from the Costa Smeralda to the Li Junchi beach at Badesi! 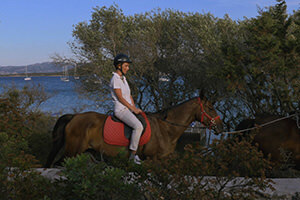 Discover the North of Sardinia on horseback. Our gentle well-trained animals will take you along tracks hidden amidst the scented Mediterranean macchia that leads down to the sea. And once you’re there, finish the day with a refreshing swim in the crystal clear water. Ready to have fun with lively shows, entertainment and live music? 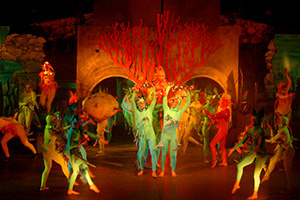 At Delphina hotels and resorts the unobtrusive yet high quality entertainment on offer is designed to amuse both young and old and will delight and liven up the special summer evenings. Kids, what do you say we get in a canoe and set off to discover some unexplored places with our new friends? With the Adventure Day at the Resort Valle dell’Erica you can enjoy a Robinson Crusoe adventure spending a night out camping on a deserted beach near the hotel. If however you feel the urge for adventure on land after taking free riding lessons (from 8 to 15 years old) at the Park Hotel Cala di Lepre, why not set off on horseback to discover the paths of Northern Sardinia. And once at the beach? Refreshing dip! Playing and learning on land is almost as much fun as being in the water! 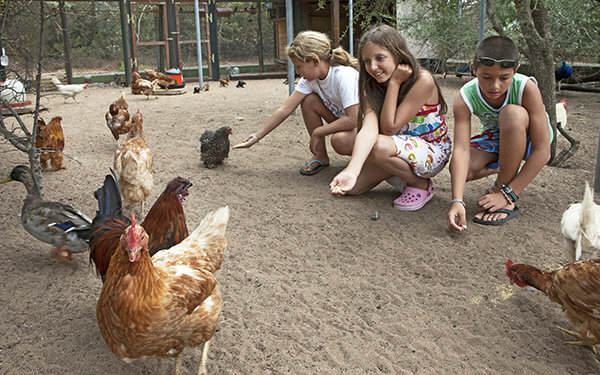 At the Resort Le Dune you can tend the plants in the organic Il Peperone vegetable garden, collect the vegetables and fresh eggs laid by the free range hens in the Puddaggiju aviary. And once you’ve collected them, they are all ready to be prepared and eaten at the Peter Pan, the restaurant just for children. Some of the activities may not be available at all Delphina hotels and resorts. For more details, check the facilities and services page for each individual hotel.